Bagatelle No. 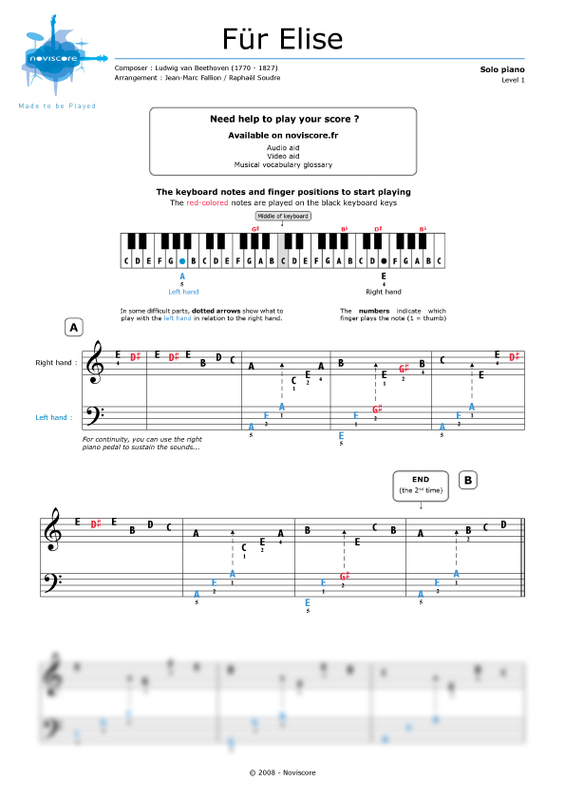 25 in A minor or Für Elise, as it is commonly known, is one of the most famous compositions for piano solo written by Ludwig van Beethoven and played by pianists the world over. 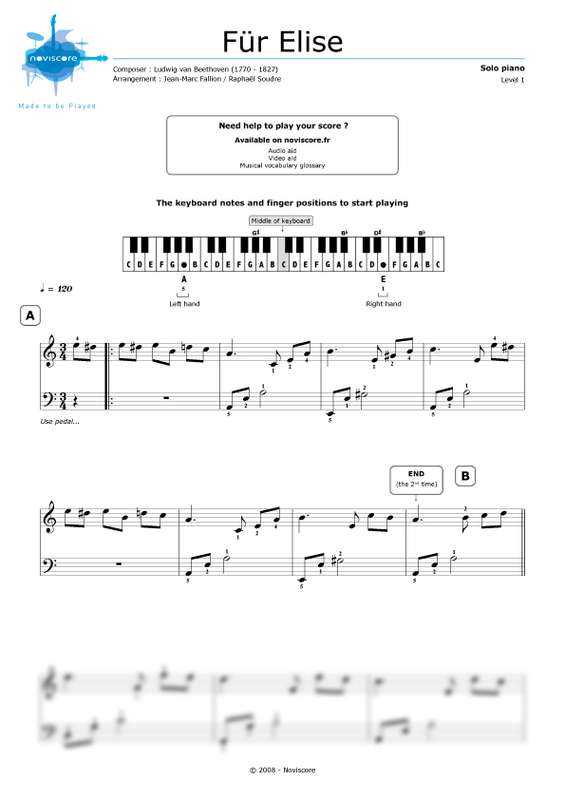 We offer you the original version as well as our adaptation Level 1 which is easier to play. 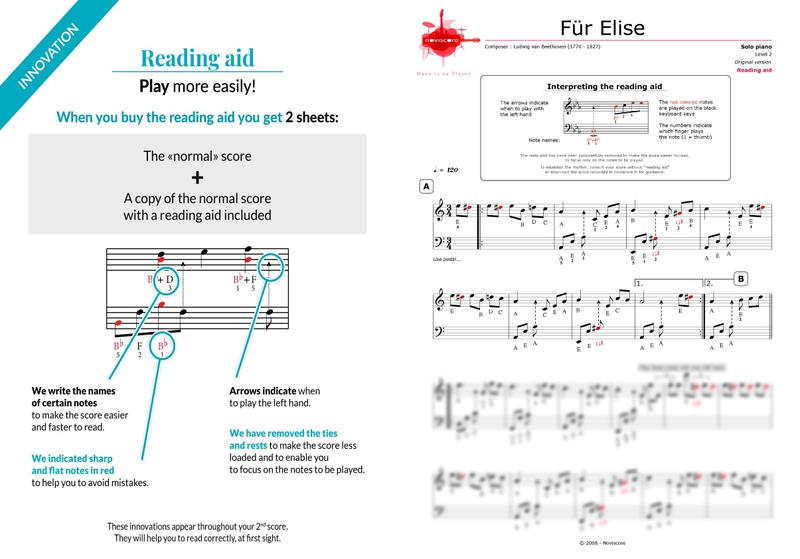 Both versions are available with reading aids so you can fully enjoy this popular piece. Für Elise or For Elise was written around 1810 but was not published until 40 years after Beethoven's death. To date, the identity of Elise remains a mystery though there are several theories. 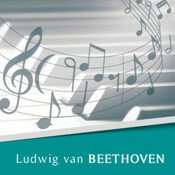 Click here for other piano sheet music by Beethoven on our website.